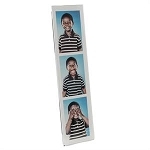 These inexpensive clip frames are perfect for special event photographers with photobooths! 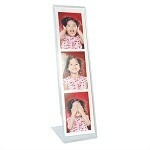 I have used these frames in the past year for many photo booth events and I am very happy with these 2x6 inch frames. 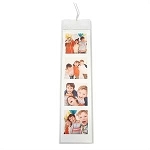 I really like them because they add an elegance to the photo strips. My clients love to give out at as wedding favors or at school dances. Each one in the box is individually wrapped in plastic and is protected by cardboard slips when in the box for transport. What I recommend is not to over stuff the photo strips in the frame because the two plastic sleeves will overstretch. As long as you use them for their design purpose, the frames will be perfectly fine. Also, if you are going to give them to a client, I would give them a few extras because they are glass and I know some will break out of arrogance on their part. Overall, I am very happy with these frames and I am happy with the service Kobis provides me.